Decorated in warm shades of brown, the air-conditioned rooms are equipped with a flat-screen satellite TV and rainshower facilities. Each also comes with a personal safe and minibar. 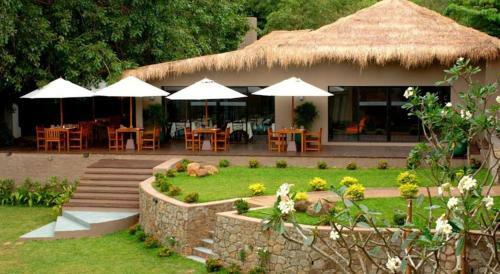 The Safari is a 6-hour drive from Bandaranaike International Airport. Free parking is provided on-site. Guests can get daily newspapers or exchange foreign currency at the 24-hour front desk. The hotel also provides laundry and dry cleaning services. International dishes, available in both buffet and à la carte styles, are served at the hotel's lake-facing restaurant.